Post World War II homes are not necessarily known for their open layouts. 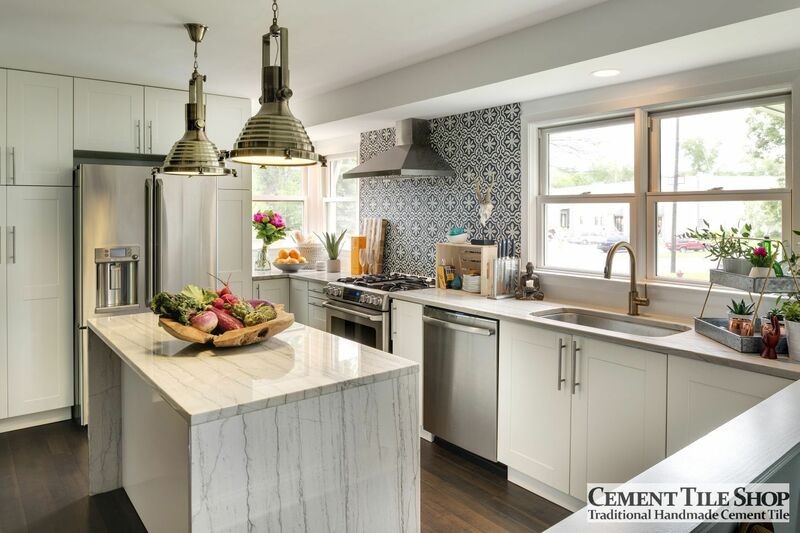 Crush Collective, designers based in Minneapolis, MN, took on this 1950’s-era kitchen design challenge. 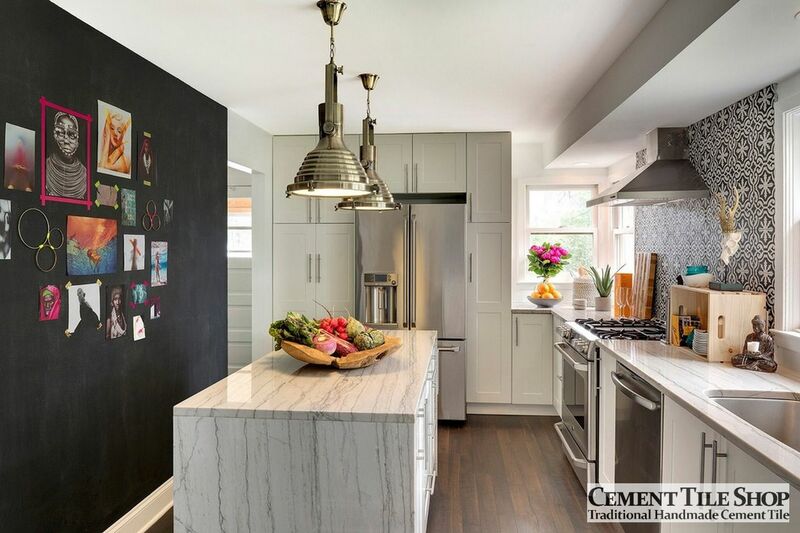 The goal was to accommodate a family four, while incorporating a chef’s kitchen and creating a clean, simple room filled with style. 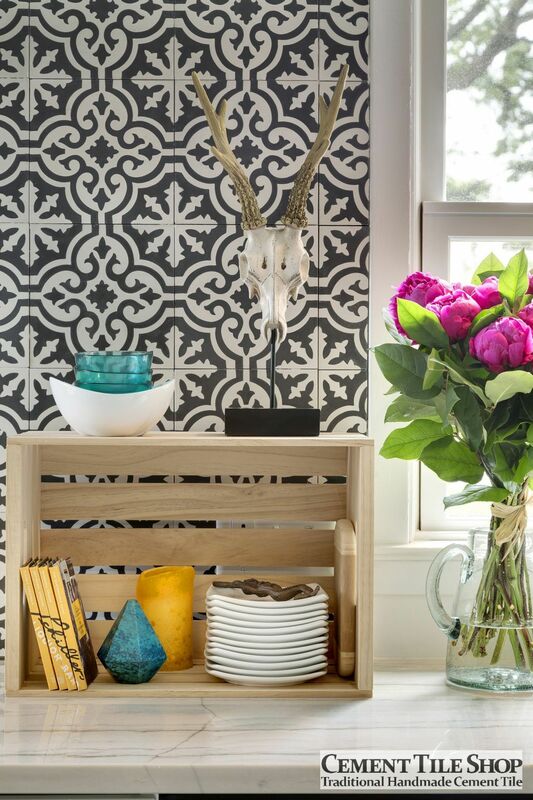 Working closely with the clients, the designers came up with thoughtful and creative design solutions. Everything in the kitchen needed to have a purpose and place, and at the same time had to reflect the artful nature of the client. 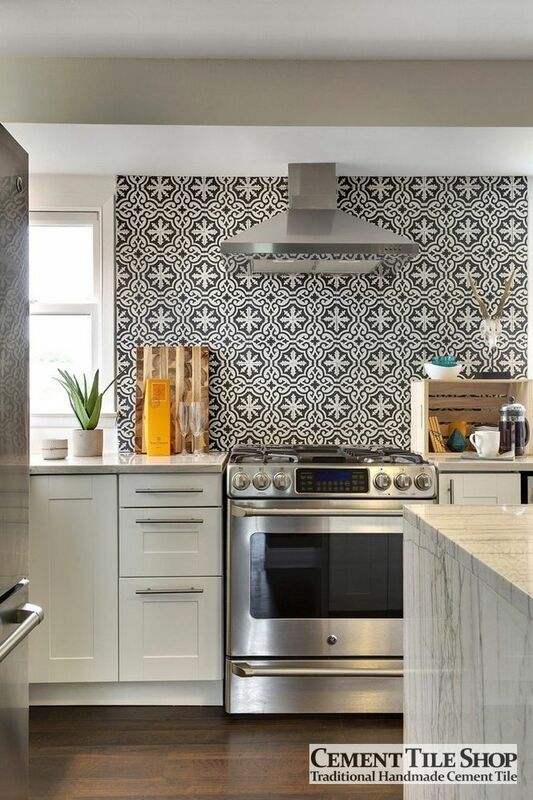 Our Bordeaux pattern was chosen to create visual interest as a backsplash over the stove and behind the hood. 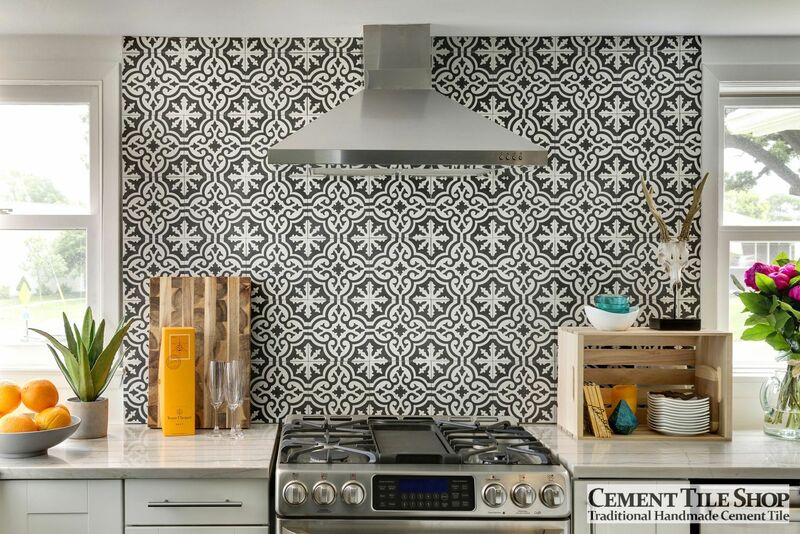 The handmade cement tile is a showstopper and gives the space instant personality. After looking at these pictures, we think you’ll agree! 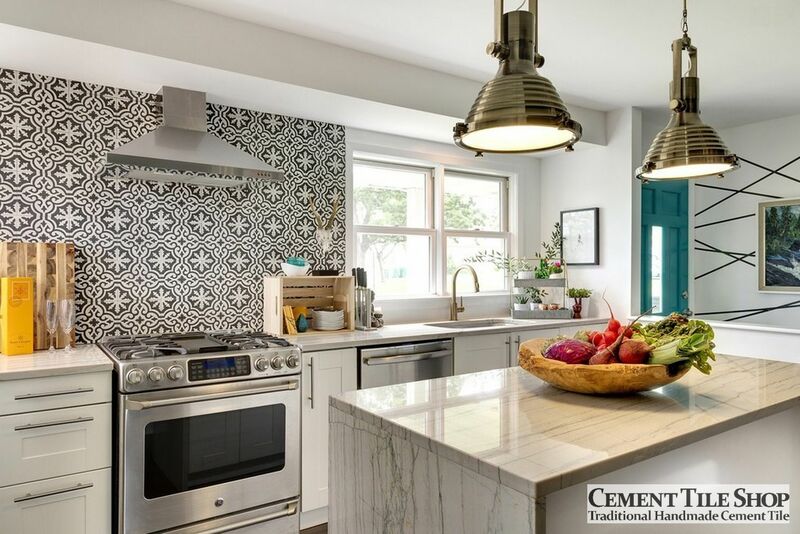 The chalkboard for family notes and inspirations, bold light fixtures and quartzite counters all add to the overall beauty of the space and help to make the cement tile pop. If you are in Minnesota reach out to Crush Collective for an amazing space of your own. 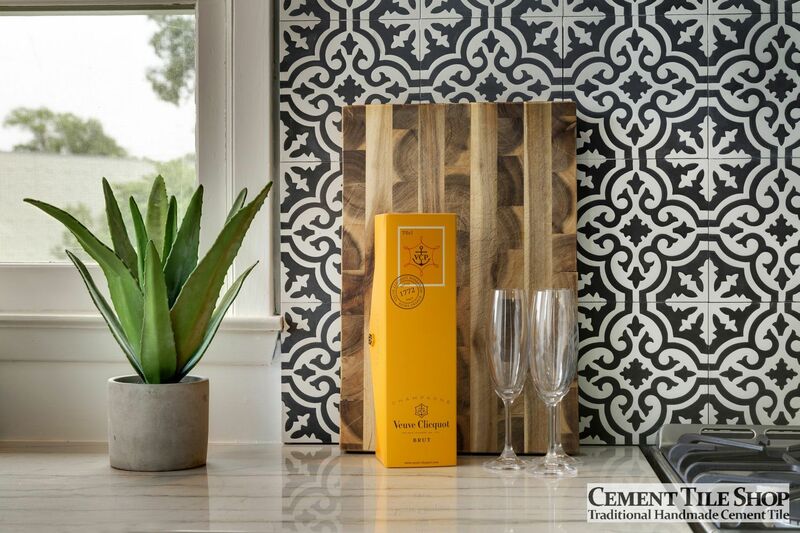 Contact Cement Tile Shop at (800) 704-2701 for more information on how to incorporate cement tile such as the Bordeaux or any of our other in stock cement tiles into your next project.